Last Wednesday (so, over a week ago; I'm soooo behind on life!) 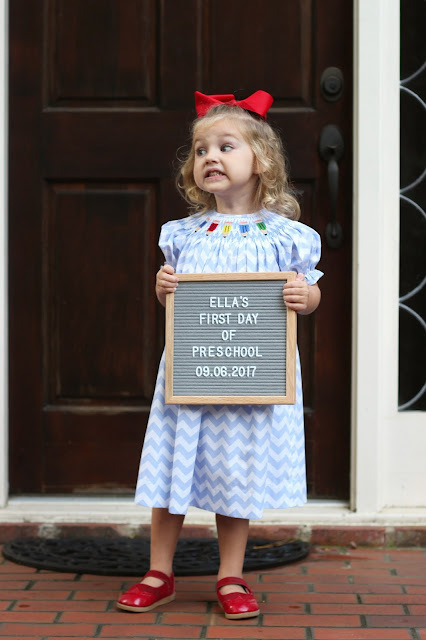 was Ella's first day of preschool! 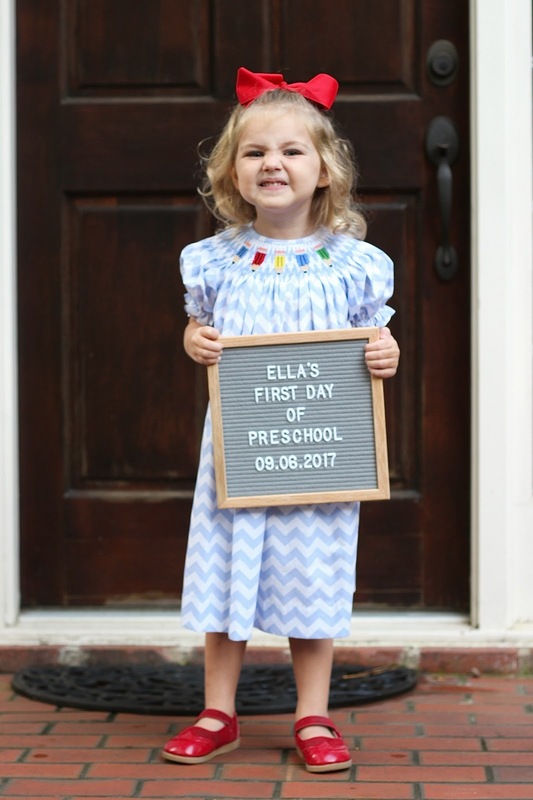 This year she is in the 3s class at the same preschool as last year. It's located in a church right outside of our neighborhood and we just love this little school so much! 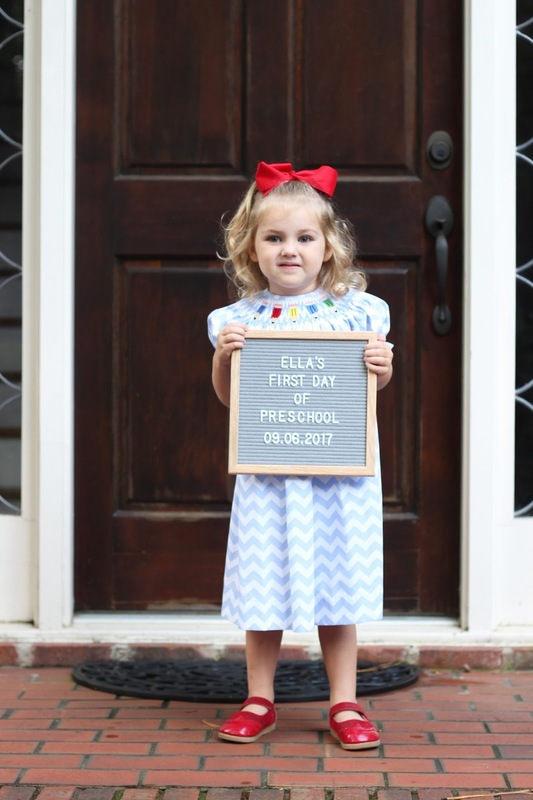 This year, Ella is going three days a week and has a lot of friends from last year's class with her again. We so all so excited for another fun year of school for Miss Elle Belle! *What is something Mommy says to you? *What is your favorite thing to do? I love to play Lucas's baseball! *Who is your best friend? *Where is your favorite place to go? *What are you good at? *What is your favorite animal? *What is your favorite toy? *What do you want to be when you grow up? 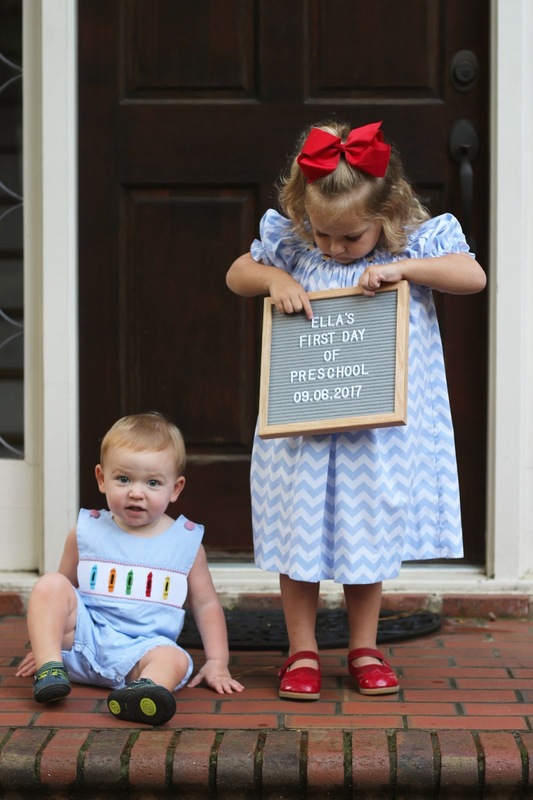 *What do you want to learn at school this year? 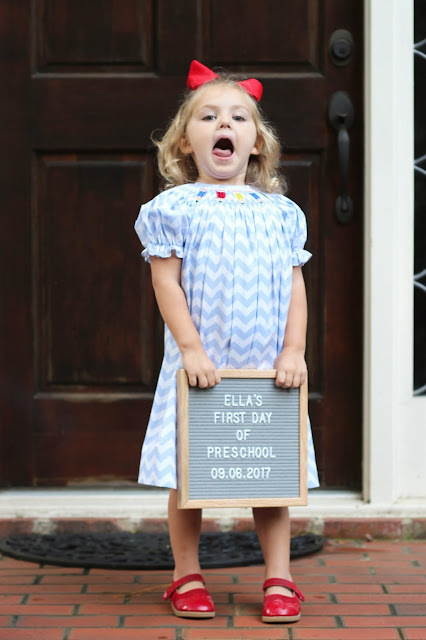 Here's to a great second year of preschool, Ella!